The concept of integrating communications with business processes has been around since the dawn of unified communications. Communications platform as a service, or CPaaS, has been hailed as the next step in UC that fulfills this vision. The technology offers embedded communications through APIs that integrate capabilities such as voice and video with business applications to optimize workflows and business processes. But the CPaaS market is still relatively young and rapidly changing, with acquisitions and new products. In this essential guide, learn how organizations can take advantage of embedded communications and select the right CPaaS vendor and platform for their communications needs. 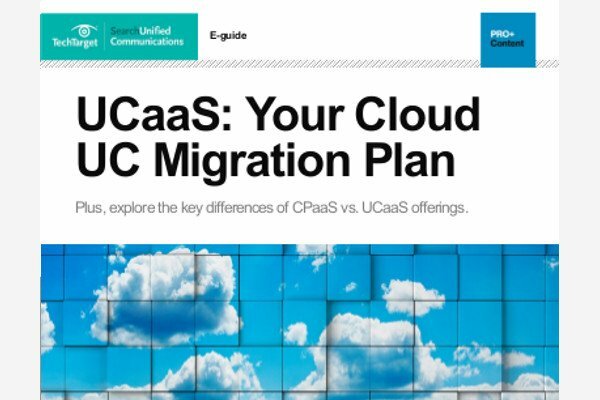 The CPaaS market is incredibly active, with new startups entering the market and legacy UC players adding CPaaS capabilities to their portfolios. Learn how the market has evolved and the direction the market is headed. For organizations looking deploy communications APIS, get to know the major market players and their offerings. Communications APIs are central to CPaaS, as well as communications-enabling business apps and workflows. Learn how organizations can evaluate the platform offerings from CPaaS vendors to find the right API to build communications capabilities, such as voice and video, into business apps. Take a deeper dive into CPaaS and embedded communications with these videos, as analysts discuss the relationship between CPaaS and UC, as well as the benefits of deploying CPaaS in the enterprise. Every UC vendor seems to have some kind of API offering. Test your knowledge of CPaaS offerings, API development and enterprise use cases. Becoming an expert in CPaaS means knowing a few key terms. Take a look at our glossary of important CPaaS and API-related definitions.